The spade-toothed beaked whale has, for some time, been little more than a 15-foot long mystery of the ocean. As the world’s rarest whale, scientists knew very little about it other than what they could glean from various skull fragments found over the last 125 years. It wasn’t until two years ago, in December of 2010, that they first saw more than bones. A mother and a calf washed up on the shores of a New Zealand beach and opened up a whole new chance to study the creature. At first, those who found the whale remains thought they were from a different species entirely - Gray’s beaked whales. This led to the remains being buried and nearly forgotten. 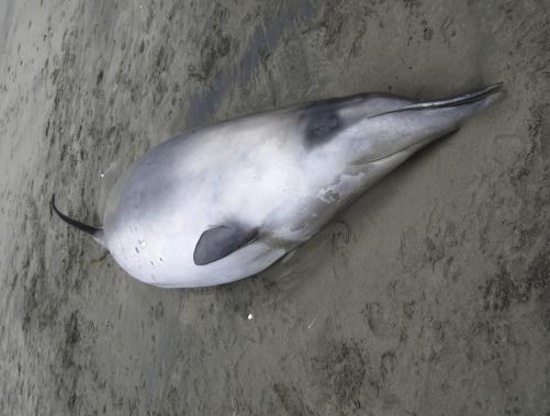 Luckily, New Zealand has a program that tracks all the whales that wash up on their shores. So, some six months later, a bit of DNA testing surprised a few scientists and led to the discovery that the bodies were indeed something much different. The researchers who discovered the DNA were so blown away that they tested and retested hundreds of samples, just to make sure they were really looking at what they thought they were. After confirming, the bodies were retrieved, albeit in a state with much less flesh on the bones. Still, now that there is at least some biology to go with the previously faceless whale, scientists can study them in more depth. The skeletons can be reconstructed and from there the muscles and other tissues of the whales can be discerned. This may lead to information about how the whales live, what they eat and maybe even provide a few clues as to where they might be hiding. Being able to get information on such an elusive species is a golden opportunity for those who study whales. It’s a good thing New Zealand is paying attention, or this discovery may have slipped through the cracks and left us to wonder for another 100 years or more.